Diwali is the festival of lights which is celebrated all over India with great gusto. 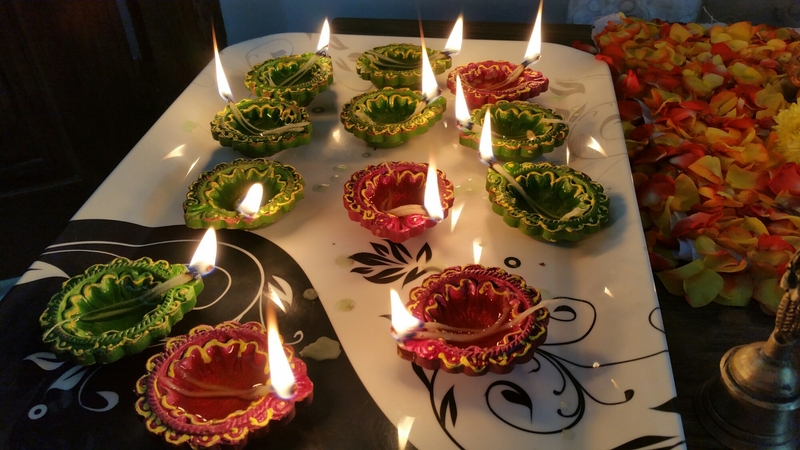 Women enjoy making sweets and lighting diyas after doing Lakshmi Puja and kids love to burn crackers . Lakshmi Puja is done in the evening. Goddess of wealth is worshipped for showering her grace. One expresses and feels blessed for being showered with abundance. 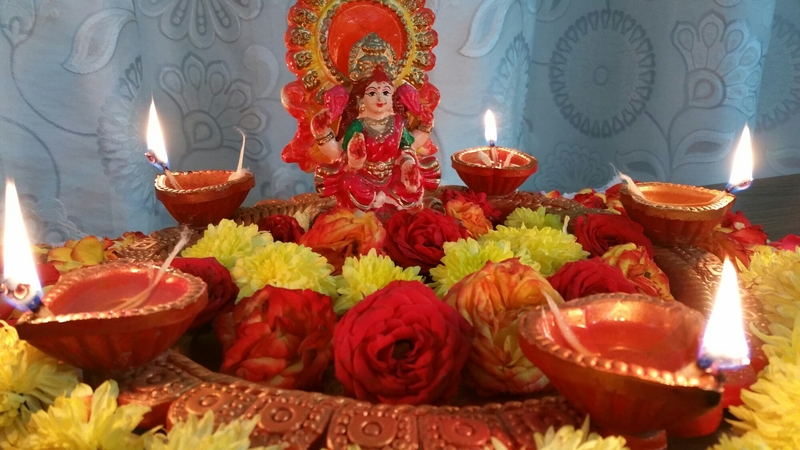 Diyas are also worshipped and are ready to be placed outside the house to welcome Goddess Lakshmi into the home. 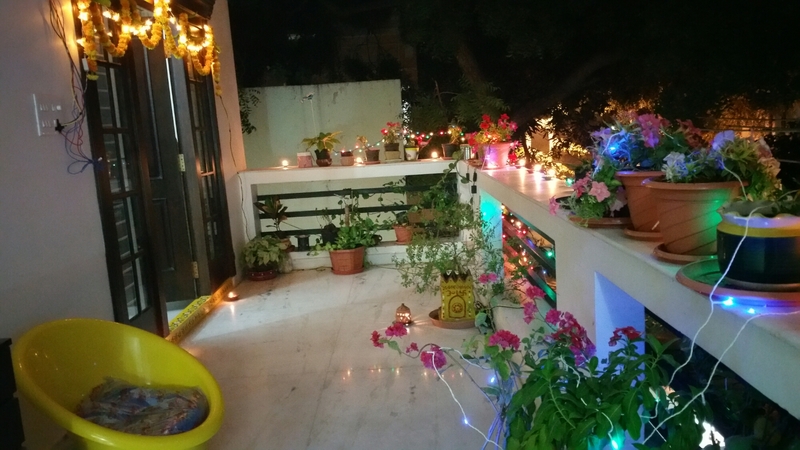 Our Balcony is decorated with strings of lights and Diyas. I like to place floating candles in the Urli on this day. 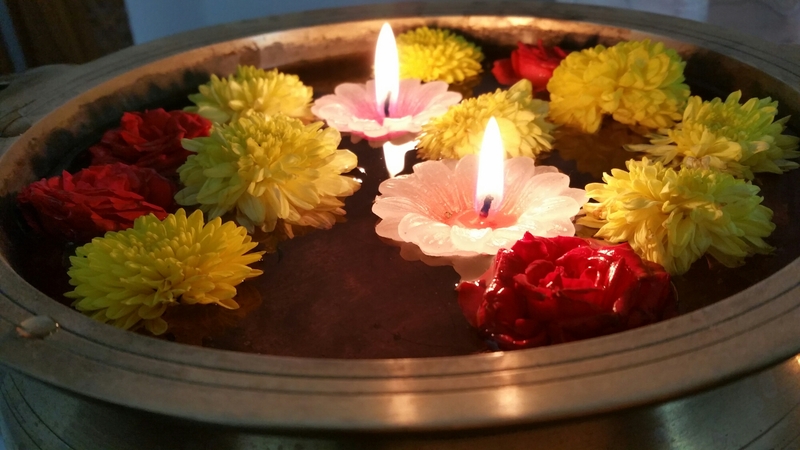 These two diyas will be placed adjacent to the door every evening during Kaartheeka month. 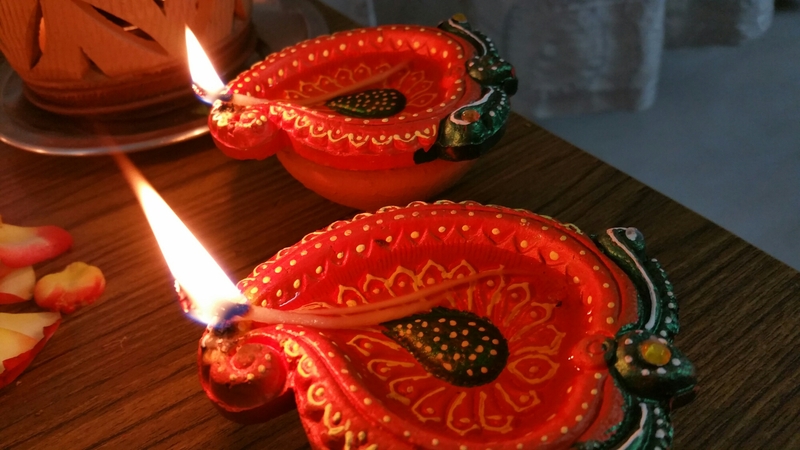 Categories: Uncategorized | Tags: 2015, decoration, Diwali, diya | Permalink.